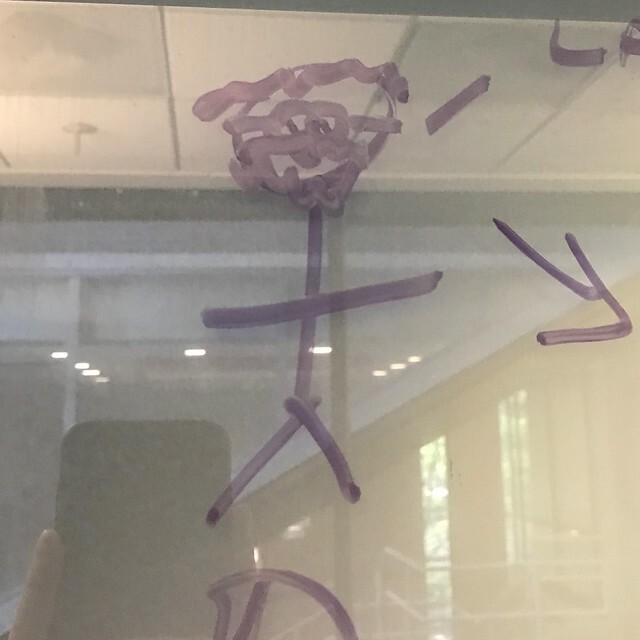 Medium: Dry erase marker on glass. So much gray hair. So much handsomeness.